The first GRI Sector Standard will focus on oil, gas and coal. GRI is inviting nominations to join an expert working group to produce the first GRI Sector Standard, for oil, gas and coal. Sector Standards will help companies in a specific sector to define their economic, environmental, and social impacts, enabling improved transparency and accountability on the sustainable development issues that matter most. 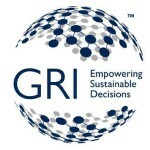 GRI is beginning a new program to help organizations within sectors to better understand, report and collaborate on their shared global sustainability challenges. 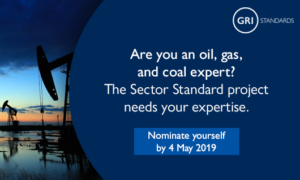 GRI is inviting nominations to join an expert working group to produce the first GRI Sector Standard, for oil, gas and coal. Sector Standards will help companies in a specific sector to define their economic, environmental and social impacts, enabling improved transparency and accountability on the sustainable development issues that matter most. The Global Sustainability Standards Board (GSSB) – which has independent responsibility for GRI standard setting – is seeking individuals with sustainability expertise in the oil, gas and coal sector to join a working group to develop the new Sector Standard. Applications close on 4 May. The oil, gas and coal sector project is the first of a series to develop standards for high-impact sectors, addressing issues such as climate change, biodiversity, and human rights. 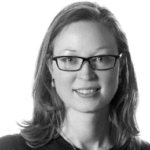 GSSB Chair Judy Kuszewski said: “Sustainability reporting by companies has not always consistently addressed a sector’s key challenges. To make reporting relevant and unlock its power to drive change, more clarity is needed on the most significant impacts within sectors. 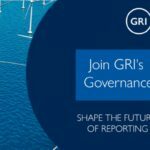 The GRI Sector Standard for oil, gas and coal will be an important next step to support businesses in defining their material topics for sustainability reporting. This will help stakeholders speak a common language when discussing global sustainability challenges and a sector’s role in addressing these. The News Portal for Sustainability / CSR Reporting!